Combat cellulite with our unique Caffeine + Retinol + Seaweed formula. This gel-cream has a strong caffeine content with the optimum level of retinol (0.4%), as recommended by experts. For good measure, we’ve also added potent natural and organic ingredients such as algae extract, kelp, coconut oil, Japanese green tea leaf extract and cayenne. Like all our products, it is free from harsh chemicals such as parabens, sulfates and phthalates. The gel-cream consistency is designed to spread over large areas and it absorbs quickly into your skin. The cream is infused with a refreshing 100% natural ‘mint - green tea - lime’ fragrance, that barely leaves a trace once fully absorbed. 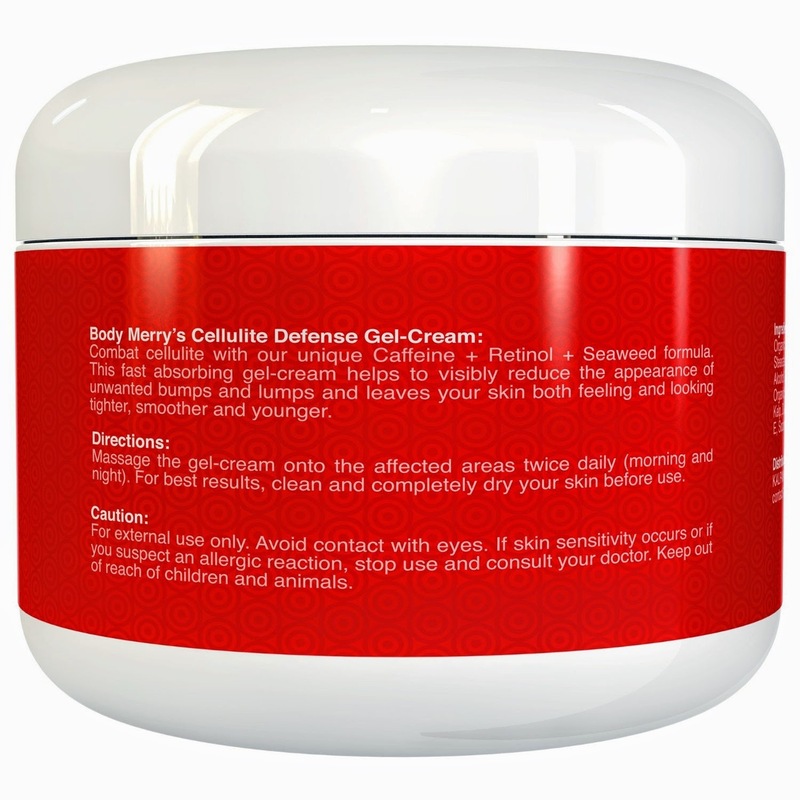 In a nutshell, Body Merry’s Cellulite Defense Gel-Cream is your ticket to visibly reducing the appearance of unwanted bumps and lumps and getting skin that feels and looks tighter, smoother and younger! 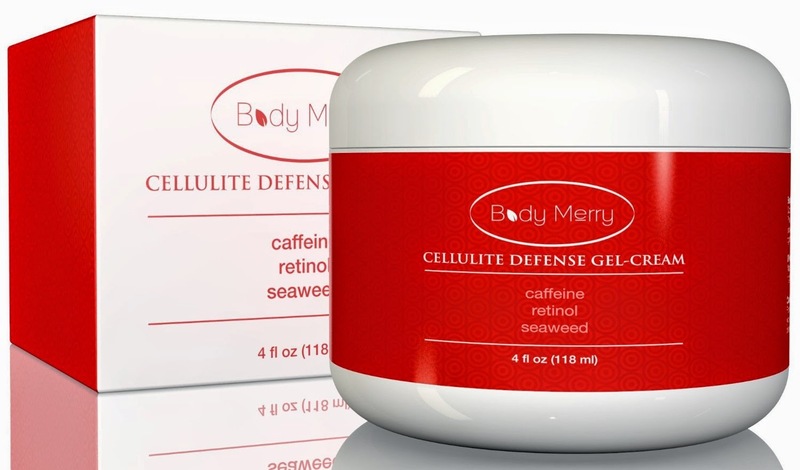 Optimum Caffeine + Retinol: Body Merry's Cellulite Defense Gel-Cream has a high Caffeine content and the optimum level of Retinol (0.4%), as recommended by experts. Natural + Organic: This cream also contains potent natural and organic ingredients. Three types of Seaweed (Algae Extract + Kelp + Dulse) combine to give it an antioxidant boost, which helps in firming and toning. Organic Cayenne provides a spicy twist and helps in circulation and reducing the storage of fat. This synergistic blend ensures that you are well on your way to reducing the appearance of unwanted bumps and lumps! Lightweight + Refreshing: The lightweight consistency of the gel-cream is designed to glide over large areas so that a little goes a long way. 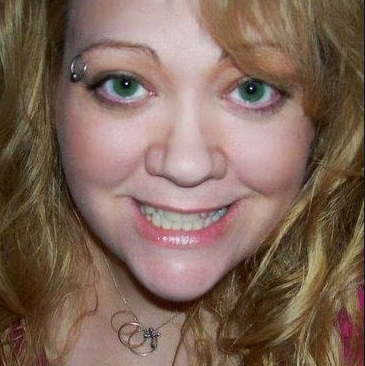 It absorbs quickly into your skin, leaving no greasy residue. It is infused with a refreshing 100% Natural 'mint - green tea - lime' fragrance, that barely leaves a trace once completely absorbed. Made in USA + Cruelty Free + No Harsh Chemicals: The cream is made in the USA in an FDA registered and GMP compliant facility. Body Merry's products are not tested on animals. The cream is also free from harsh chemicals such as Parabens, Sulfates and Phthalates. Manufacturer Guarantee: Body Merry's products are backed with a 90 Day 100% Satisfaction Guarantee. If you don't like this cream, just contact us and get a full refund. Best of all, you don't even need to return the jar. Massage the cream onto the affected areas twice daily (morning and night). For best results, clean and completely dry your skin before use. 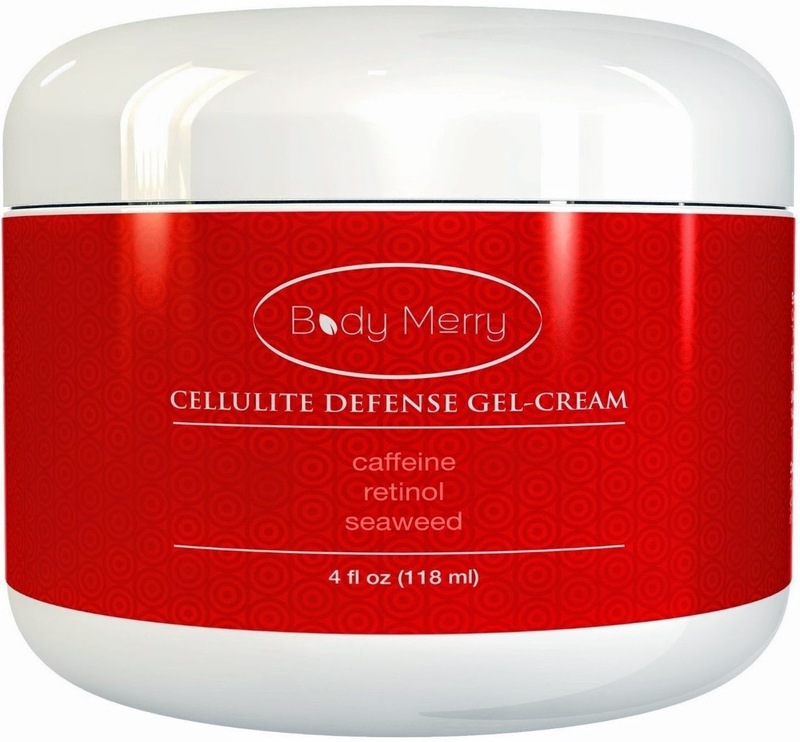 I have got to try this Cellulite Defense Gel-Cream with Caffeine, Retinol and Seaweed by Body Merry for a couple weeks now and I do like the little bit of change in texture of the areas with cellulite. I have been massaging this cream to my areas affected with cellulite, first thing in the morning when I wake up and right before I get in bed for the night. It absorbs nicely and is not greasy or filmy feeling on the skin. It comes in a good size jar so it is going to last awhile. I will have to continue using this cream to see further results.